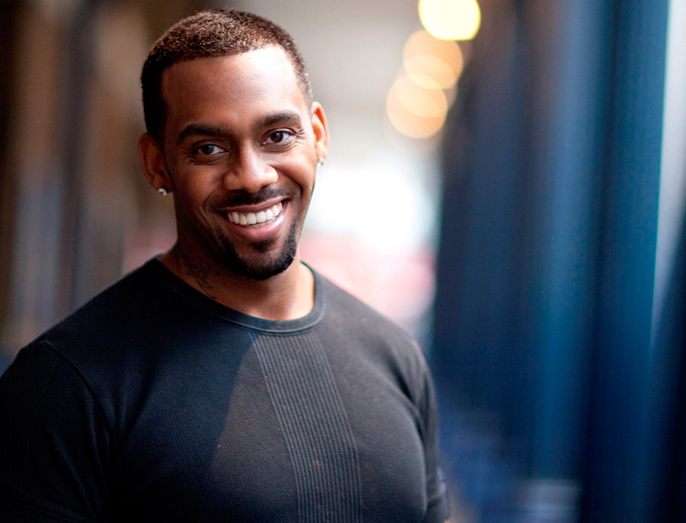 Stand-up comedian Richard Blackwood has had a successful career, firstly as a presenter of dating show Singled Out, acting in TV shows such as Holby City and plays. Last year, Richard starred alongside James Earl Jones in Cat On A Hot Tin Roof and most recently spoof movie Anuvahood. Anton in ITV's Britannia High, MTV's Singled Out and Select and his own show on Channel 4, The Richard Blackwood Show. But in his most challenging role to date, Richard is currently starring in Shrek: The Musical, a West End adaption of the smash hit movie. But how has Richard been coping with singing for the first time and how did he become such close friends with stunning American actress Sanaa Lathan? Was it an easy decision for you to decide to play the donkey? Well yeah, this play isn't like any other play. When you hear that Dreamworks have flown in from America, you know, [Shrek] is their baby and it's putting yourself on a different kind of map. So, everybody would have jumped at the chance. Donkey was played by Eddie Murphy in the movie adaption - have you felt any pressure to match his popularity? No, when I took the role on I knew it was obviously not going to be a walk in the park, you know, it's Eddie Murphy. You can't beat that. But my thing is that, these people work with Eddie Murphy and they're auditioning me and I'm basically unknown to them so they must think that I'm good enough to play Eddie's role. How is the singing coming along? I have a couple of solos. With musicals, they're not like pop records where you're in the studio and you can stay in there all night until you get the best technique. With theatre shows, when you go there and you hear people sing, it's live and they're at a different level. The coaching that I'm getting is so that if I had to walk into a studio, it would be a walk in the park. So, that part is nerve-wracking but I'm up for it. Also I've never done any singing before this. No I respect theatre being there for comic actors like myself. My management told me that Dominic West from The Wire was in one of their plays and it's like, he came from theatre and now he's known for being in The Wire. I thought to myself, 'that's how it happens' - most actors are picked up from theatre and not from TV shows, because I guess theatre is like the Holy Grail for finding the latest sensation. So for me to say that I've done theatre now up and down the country for the last four or five years, playing lead roles feels good to me. So I will always have respect for theatre. You recently starred in Cat on a Hot Tin Roof, what was it like working alongside great actors such as James Earl Jones and Sanaa Lathan? You know what, when I first walked into the room with them, I was thinking 'OMG I have to walk in a room and these people are gonna be there.' But what was really humbling is that Sanaa Lathan came up to me and she came over and said: 'You're Richard Blackwood right?' I was like, 'yeah, how do you know who I am?' Sanaa and I became close, we used to hang out, we were proper friends. James Earl Jones from day dot is the most humble man you could ever meet. I'm always grateful for that experience. Did you learn anything from them in terms of acting? Yeah of course. Every time I was on stage, I was watching what they were doing. I was engrossed because it was the best acting class I was ever going to get. It can't get any better than that, and everyday I would just watch them rehearse and know that I had to bring it. For me, these actors are better than any acting school. What would you say is the hardest thing about working in theatre? You have to make something hard look absolutely easy. When you're on stage, all your choreographed lines and movements you have to make look like they're not choreographed. You learn it to a point where it becomes secondary so people in the audience think 'wow.' And remember, we turn up to work at 6:15am and you have to turn it on. 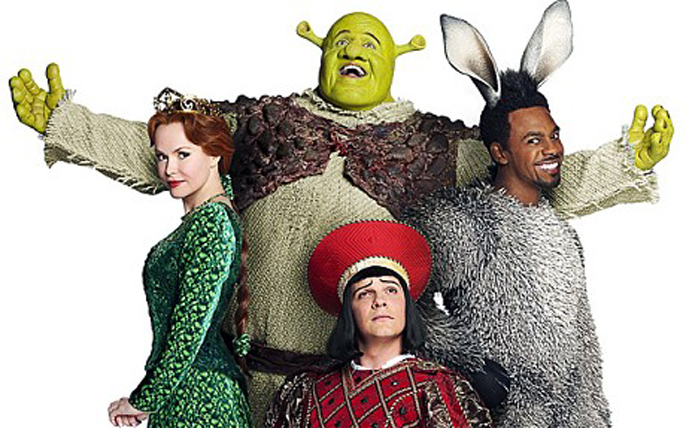 What challenges have you come across rehearsing for Shrek? The singing! That is my biggest fear because being a stand-up, I've always been in my comfort zone. Now I've been taken out of that, but a challenge is always good. You can't get to the next level without a difficulty in your path. What do you hope to bring to the character of donkey? I'm not going to try and overly change it to the way that Eddie [Murphy] played it, but I am going to Richard-ise it in a sense that I don't want people to think that I'm a carbon copy.